If you’ve been thinking about transforming your skincare routine and super into face masks, sit tight. And even if you’re not that familiar with sheet masks, you may want to be after you read about Mask Moments. Mask Moments is delivered right to your door so you can get your skin glowing. Their masks are made from all natural coconut gel for a fit-like second skin. There are no artificial fragrances or harsh chemicals. The masks are also cruelty-free and are safe for sensitive skin and the environment. Mask Moments is also the newest generation of beauty face masks (not paper), and 10 times more absorbent than the average paper sheet mask. And with their potent blend of botanical and fruit antioxidants, it’s scientifically proven that skin will replenish and restore with these ingredients. You can start for free by trying your very first sheet mask on Mask Moments. All you have to do is cover the $2 shipping and handling. And if you find yourself loving Mask Moments (which you will) you can choose to keep them coming by choosing a subscription plan for endlessly luscious skin. When you want to keep em’ coming, your next shipment will include some of their best bio-cellulose sheet masks with formulas for anti-aging, brightening, calming and deep hydration. Basically, the more often you mask, the better the value and shipping is always free. Whenever you wish, you can amend your mask delivery schedule, cancel, skip a month or add a concentrated plan for a special moment. These masks are not only convenient by arriving right at your doorstep, but they provide visible results. If you’re looking to learn more about Mask Moments and start a subscription plan then head to maskmoments.com today. Let’s get rid of the old belief that many still seem to hold on to to this day: Taking care of yourself is NOT selfish. There’s nothing self-centered or egotistical about self-care. Well, now that that’s out of the way, let’s talk about a whole new body care brand, MASS EDEN. MASS EDEN is a green beauty brand that concentrates on preserving the personal identity of health-conscious and sensitive skin consumers. Founded by TL Robinson, MASS EDEN’s whole model is geared around being consumer-centric so they take health concerns and perceptions of brand identity into consideration. They have a consumer feedback process that informs the moves they make to ensure that consumer needs are being met. In that way, they can constantly provide natural and organic body care products formulated specifically to satisfy the needs of sensitive skin. MASS EDEN’s products are also gender neutral and formulated for anyone – regardless of skin type. And while their products are designed to care for sensitive skin, they have amazing effects on the skin of any condition. MASS EDEN Light Oil includes a natural formula that moisturizes dry skin allowing it to show its natural glow. A quick look at the ingredients (Camellia Seed Oil, Argan Kernel Oil, etc.) and you know you’re not putting a slather of chemicals on your face. It’s all natural and designed to improve your skin’s health. Their Dark Oil, also all-natural, was designed to hydrate dull or parched skin without leaving an oil trail. Coffee arabica oil provides antioxidants directly to the skin while releasing a luxurious aroma. And then there’s the Facial Steam which is an absolutely delightful at-home spa-like treatment that allows for a deeper clean of your skin. This organic and botanical tea helps prepare skin to accept moisture. Head on over to Masseden.com to peruse their collection and purchase yours today. A nice tan doesn’t hurt anyone, right? Well, not really. Sun can really take a toll on skin, leaving it wrinkled and dull. Since sunscreen is only the first step to getting healthy skin, restoration is second step. 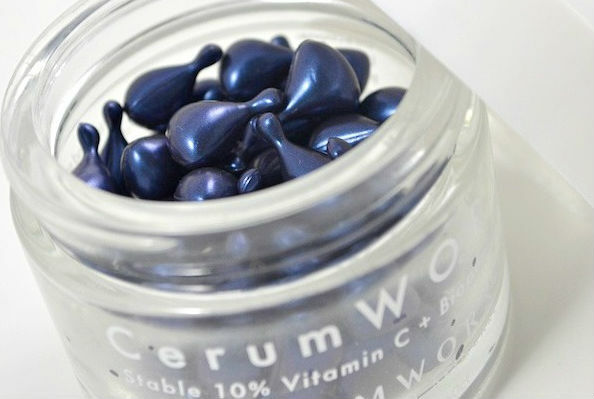 CerumWORX by DermWORX is great to decrease some of those fine lines and wrinkles. The serum comes in these little pods, which are really fun and easy to twist off. They are also super convenient if you have butter fingers like me, and tend to drop things left and right. The pods are great because the extend the shelf-life of the antioxidants in the serum, making it a fresh application each and every time. If you’d like to have healthy and glowing skin, watch the video below and test it out today. Alright guys, well I found one of my favorite new beauty products. Actually this isn’t one of my favorites, it’s my absolute favorite beauty product! 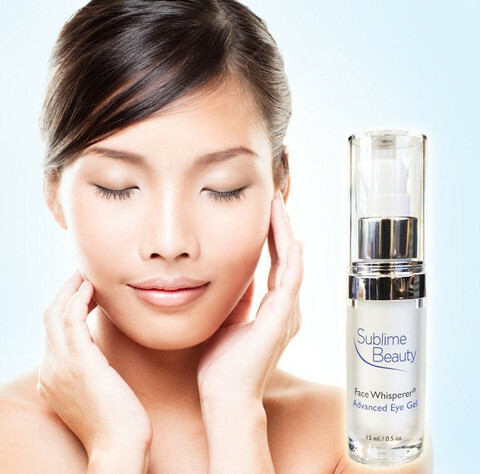 It’s by Sublime and it’s called the Face Whisperer® Advanced Eye Gel. This product really changed my life, and I’m going to tell you why. This winter didn’t do any favors for my skin, besides make me pale for longer and make my skin drier than usual. All I wanted to do was soak my skin in face moisturizer, glob concealer under my eyes, and pile on the bronzer. But those things didn’t do me any favors either, except make me have greasy skin, oily under-eyes, and have a wannabe sunkissed glow. My skin was riding the ‘I hate winter’ struggle bus. Seriously. So I started trying Sublime’s beauty products and they renewed my skin to its pre-winter glow. First off, I started by using Sublime’s Face Whisperer® Day Cream. This product really took my skin from being flaky to its original feel. It wasn’t greasy, I didn’t have to use a lot of the product, and my skin was glowing. After I had awesome results from the day cream, I tried the Advanced Eye Gel to fix my other skincare problems. The gel is very lightweight, so when I used the moisturizer, I didn’t feel like there were a ton of products on my face. All I had to do was put a pea sized amount on my finger, and dab it around my eyes (a little goes a long way). I was really amazed by how bright my eyes looked after using the product. It made me feel like my skin wasn’t so damaged from the harsh winter weather. If you’d like to learn more about Sublimes beauty products, head to SublimeBeautyShop.com today!